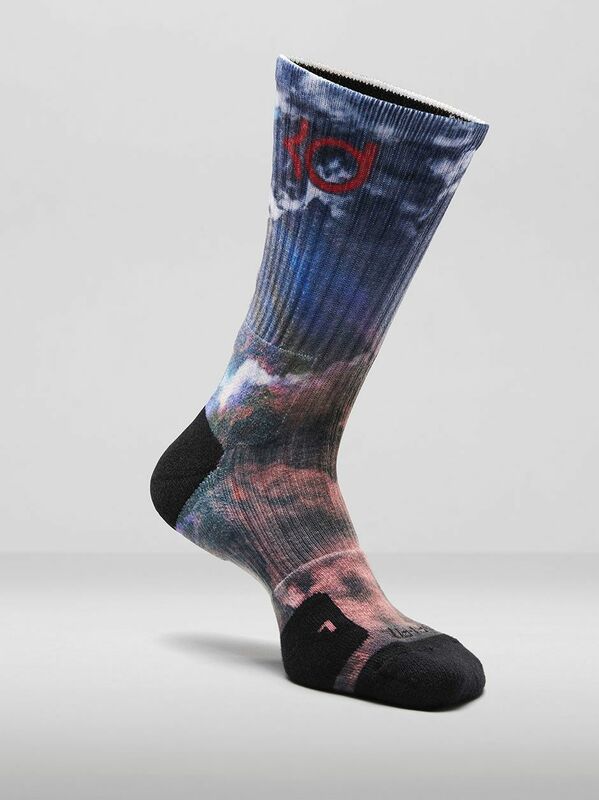 Kevin Durant’s seventh signature shoe fuses performance innovation with a creative narrative across five color ways that are centered on the weather. 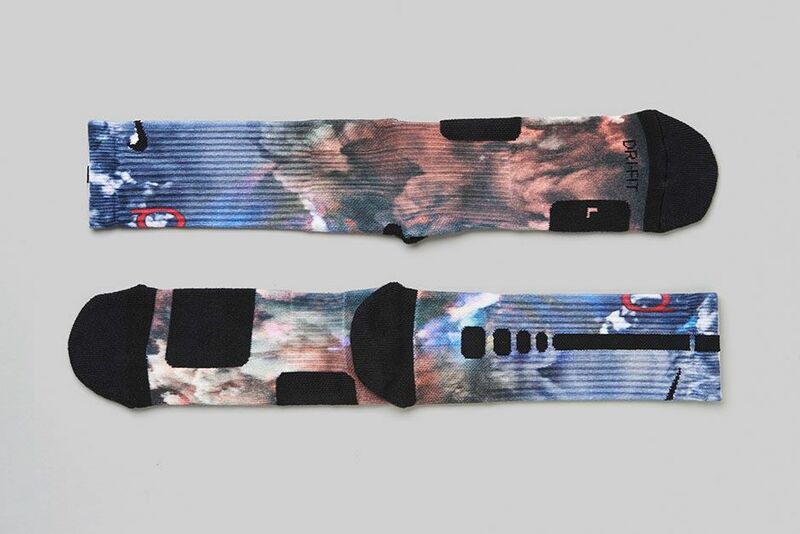 Nike designer Leo Chang created an innovative shoe for Durant that meets the needs of the reigning MVP’s quickness, power and unpredictability, just like the forces of nature. 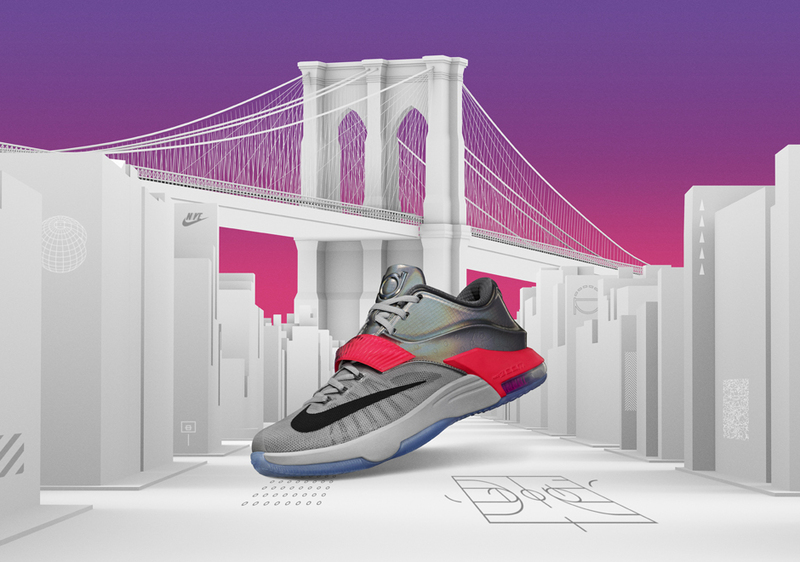 Creatively, Chang applied Durant’s on- and off-court insights that are brought to life through color blocking, graphics and textures to tell stories that are both personal and inspired. 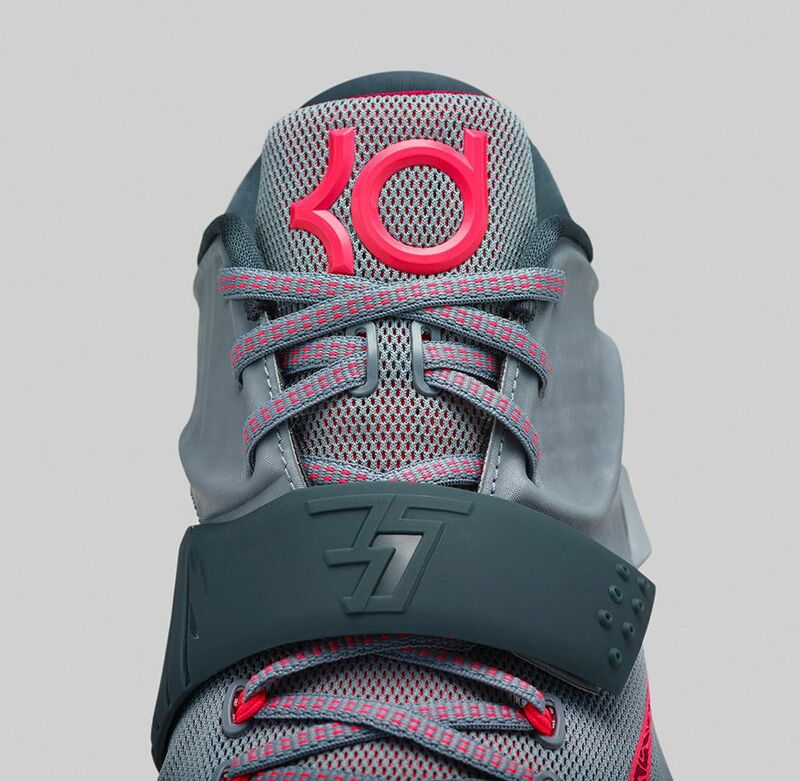 CALM BEFORE THE STORM: The grey and pink color way of this KD7 is indicative of skies that appear tranquil before the onset of a powerful storm, though Durant typically remains calm even throughout a swirling frenzy on-court. As a child Durant’s fascination with meteorology led to aspirations of becoming a weatherman. Ironically, Durant was drafted by Seattle, and then the team relocated to Oklahoma City – two cities known for their unpredictable weather. 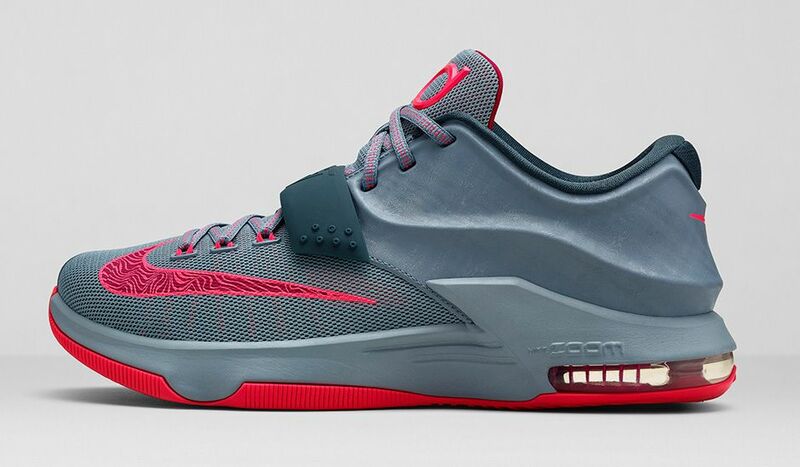 “With the KD7 we wanted to build strong storytelling,” said Durant. “Leo and the team are always technically focused, but we also wanted to have some fun with hidden stories that make me who I am. 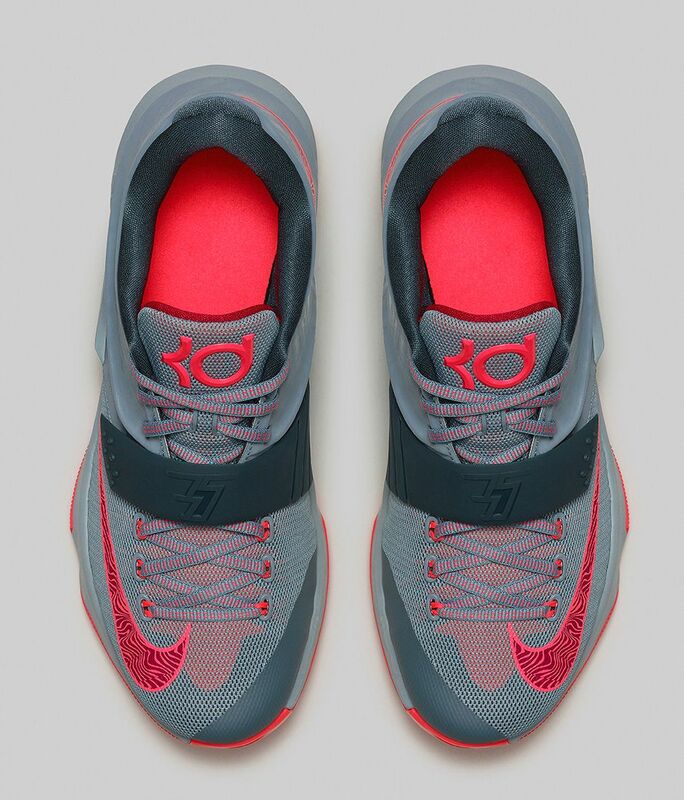 The same personal cues are featured on each of the KD7 color ways: a silhouette of his home state of Maryland is embedded on the outsole; and the forefoot strap includes the names of his mother Wanda, his grandmother Barbara, his father Wayne and his brother Tony. 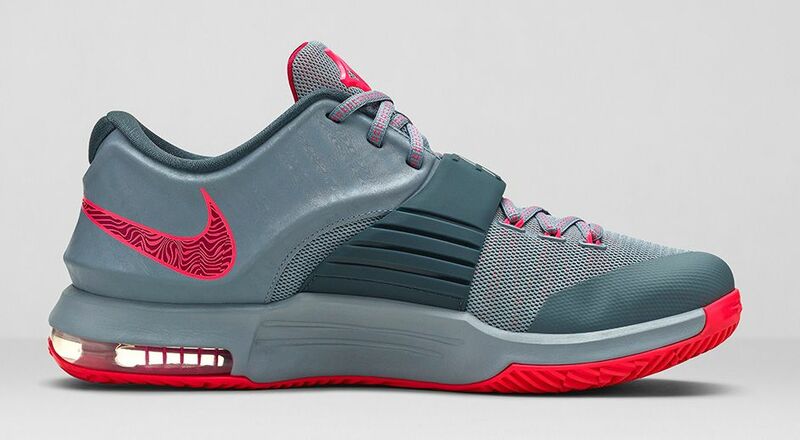 DESIGN INNOVATION: PERFORMANCE HYBRIDChang’s performance objective for the KD7 was to provide Durant with the quickness and forefoot flexibility typically reserved for a point guard, combined with the stability and support in a shoe designed for a power forward. 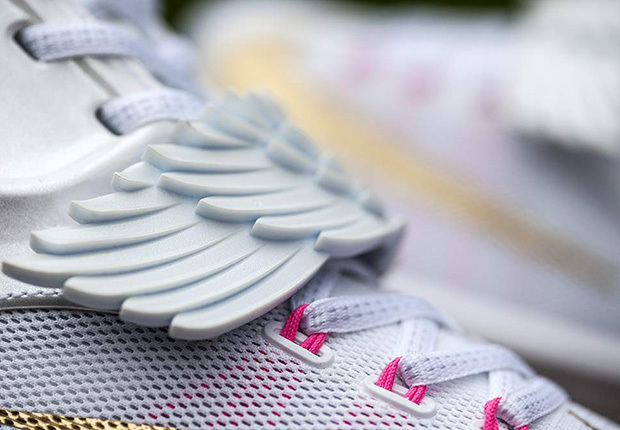 Chang accomplished this “best of both worlds” design challenge by using seamless forefoot mesh, dynamic Nike Flywire technology and encapsulated Nike Zoom in the front of the shoe. 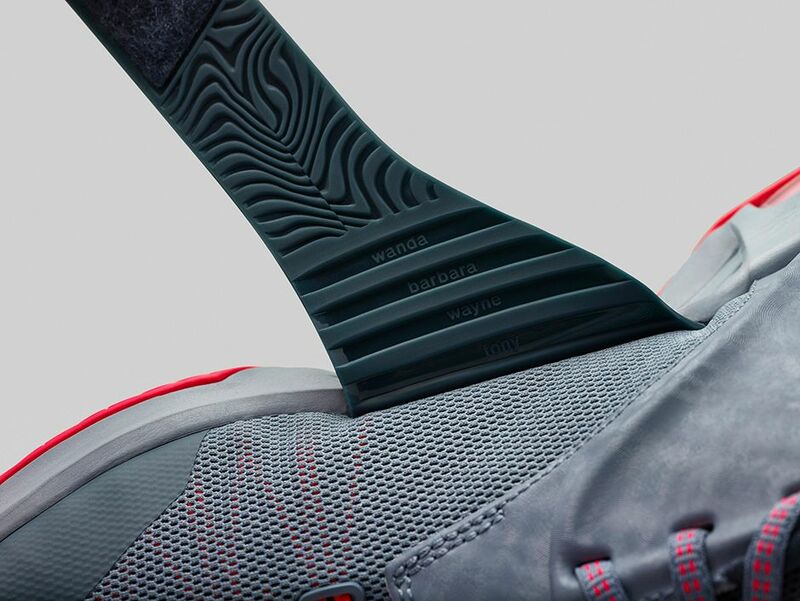 Bridging the transition between the forefoot and heel is a midfoot strap. Chang combined Hyperposite support in the heel with a newly developed visible Nike Zoom Air bag for responsive cushioning. The Hyperposite technology, making its debut in KD’s signature line, provides the reigning MVP with support for his evolved post moves and rebounding. The distinct Hyperposite look, an evolution to the original Foamposite, is also a nod to KD’s Maryland roots. His hometown region, affectionately known as the DMV – DC-Maryland-Virginia – has an ongoing love affair with Foamposite, which debuted two decades ago with the launch of the Nike Air Foamposite One in 1997.